Counting By 7s is the story of Willow Chance. She is 12 years old. She’s a genius. She’s different. She has already had to search and find one family. This is the story of losing and searching for another. Willow’s voice will absolutely fill your heart. If you liked Out of My Mind (Sharon Draper), Wonder, (R. J. Palaccio) Anything But Typical (Nora Baskin) or True…Sort Of (Katherine Hannigan) then Counting By 7s is a MUST on your to-read list! While true that Willow has some unique circumstances surrounding her life and situation, her longing for the love and security she has lost is one with which all readers can identify. Willow first experiences deep sadness the way most of us do–she tries to ignore it, to run away from it: if I pretend it isn’t there then it won’t hurt as much. Where Willow is different is her ability to notice feelings and the actions of others around her in a way that causes her to re-examine the choice she has made about the way she survives each day alongside the loss at her center. Willow methodically moves through a tragic, life-changing event with singular purpose. Regardless of the reader’s age, Willow guides us through her observations of others’ kindness on her behalf and helps us to see–as she does–that loss and sadness do not need to make us who we are in this world. It is a profound thought and Willow’s character embodies and teaches it with gentle grace instead of any kind of condescension or preachy-ness. Because Willow’s character is so unique to begin with, her mature observations remain believable for the reader. 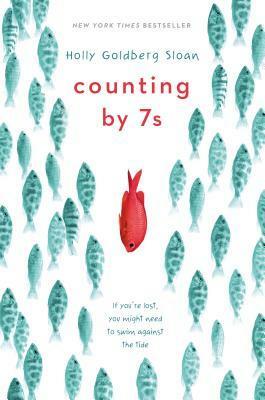 A fantastic independent or read-aloud choice for the Lovelace nominees this year, I expect Counting By 7s to be a favorite–particularly among my 6th and 7th grade girl students.